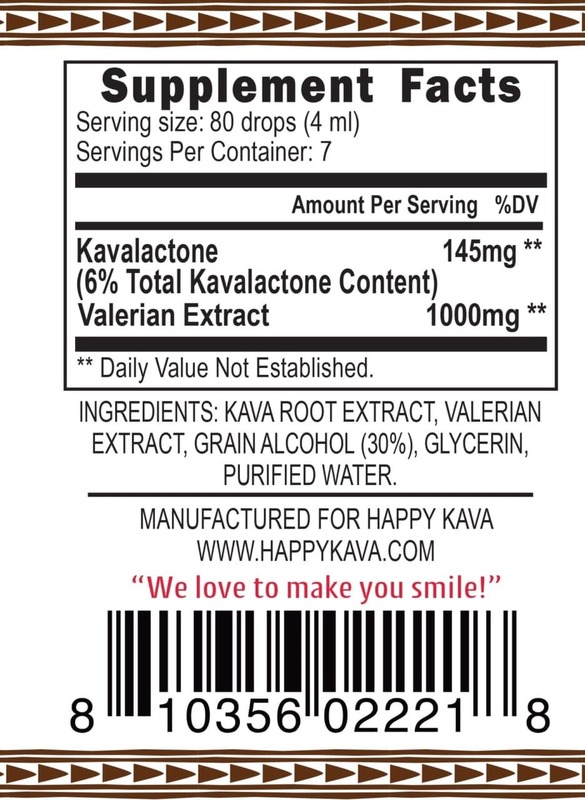 Happy Kava Brand Valerian Root Kava Tincture Blend can help you fall asleep faster when it’s combined with a clinically-proven herbal sleep aid. The Kava relaxes you and eases you into a state of well being, while the Valerian root gently sedates to make restful, peaceful sleep a reality. We add the equivalent of one teaspoon of ground Valerian root powder into every serving of this tincture (80 drops is a single dose). We don’t add any other filler herbs that help with sleep. 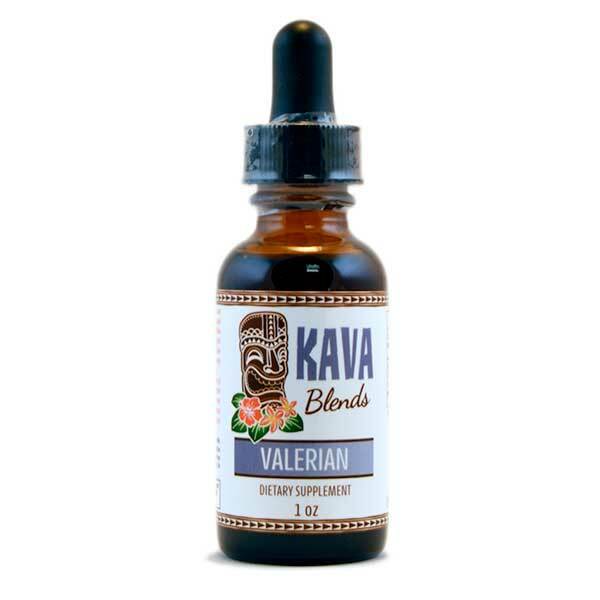 All we have in this award winning Valerian Kava Tincture Blend tincture is pure Noble Kava root with a 2-4-6 or 4-2-6 Kavalactone lineup, and pure Valerian root extract. Directions: Shake well! Take 80 drops per serving, up to twice daily. Do not exceed the recommended dosage. Maximum period of daily use: 3 months. Use may resume for 3 months after a 2-week break.